We're still laughing at the schizophrenic guy for having delusions? 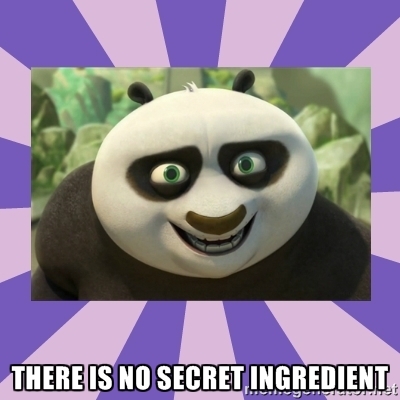 What part of TSI Top Secret Ingredient do you not understand? What I am showing you, is a sneak peek of the illumination of Conscience in Human Resources aka T.I.C.H.R, the three IP’s, amen. This is, the Corporate Bechtel TSI, amen. I don't think so. I think we are interacting with a new member who is reaching out for discussion. Who knows, it may be mutually beneficial. Ya never know when you might find yourself being the hand of God, helping one of His Prophets find the way. Fellow Sooth-seer JBReyes777, you staying warm in Laguna? I don't think there's much laughing going on. Most people would like him to seek a medical intervention. No matter how much you pad it out with incoherent links and acronyms and gibberish, it remains certain that a person who provides conspicuous and constant evidence not only that his behavior and proposals are unethical but that he lacks an understanding of what it means to be ethical would not be hired for a position requiring an appreciation of ethical behavior, even if such a position did exist. From the purely practical point of view, one might note that success in your endeavor has not yet occurred, and it might be prudent to ask yourself why. I do not know the hiring practices of Bechtel or any other corporation in detail, but I suspect that however valid, ingenious, or useful your inventions might be, they will be fain to listen to them unless they are presented with a rough semblance of sanity. When the wolf wishes to infiltrate the flock, it does not dress as a tiger. Or just take his meds as prescribed. Well would you look at the time. The Shake is tomorrow. my request to creditors this month of February, counts as the first of three months, amen. Your choice. Tomorrow as in May 25th? or Tomorrow as in today, May 24th? Do my back spasms count as tremors? Cuz i really tweaked it last night trying to quickly jump turn from my left side to my right side, while sleeping, my lower half didn't turn, and my upper half did. Now I'm barely able to walk, is it possible he was referring to my back spasms, and mistranslated the code to infer 'earthquake'? I'm in the Eastern US time zone, where it is the 24th. OP is in the US West Coast, so our days are in synch for these purposes. Since there has been silence from the OP with IP's, my prediction is that the split with the family is why they will be unable to post here after no shaking tomorrow. A setup/excuse for the certain failure in prediction. At least I am hoping that is the case. I would rather not like to think that a truly mentally ill person was tossed out in the street instead of being committed if they weren't compliant. Will JBREYES777 claim victory for his earthquake prediction? today: 5.2 earthquake in Pamandzi, Pamandzi, Mayotte. Technically, not ON the Continent of Africa, as Mayotte is an island, but what the hell. As per the agreement by the OP, the prophecy was for an earthquake that rated 6 or higher on the Richter scale, centred on Ackum. The most recent earthquake of that magnitude in the region was 40 years ago, with the most recent of any magnitude being one of 5.2 2 months ago. OP's prophecy has not come to pass. I hope that either this is a wake-up call, he reconsiders his position, and gets medical help for his condition or - and I deem this much less likely - he's now a millionaire.